Sam Barsky has the best vacation wardrobe we've ever seen. 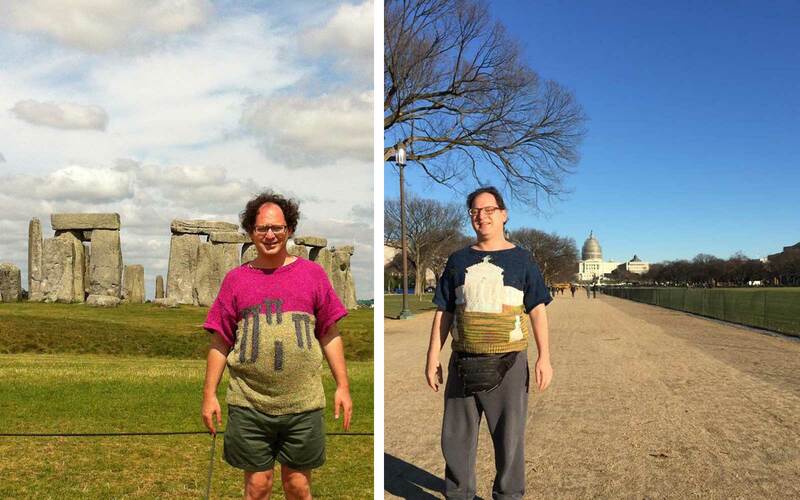 The incredibly skilled knitter creates sweaters depicting famous tourist attractions around the world. But the best part may be the meta photos he takes in the destinations that inspire the pullover. Barsky goes by the name of ColorKnit on Facebook—which is a treasure trove of photos featuring his work. 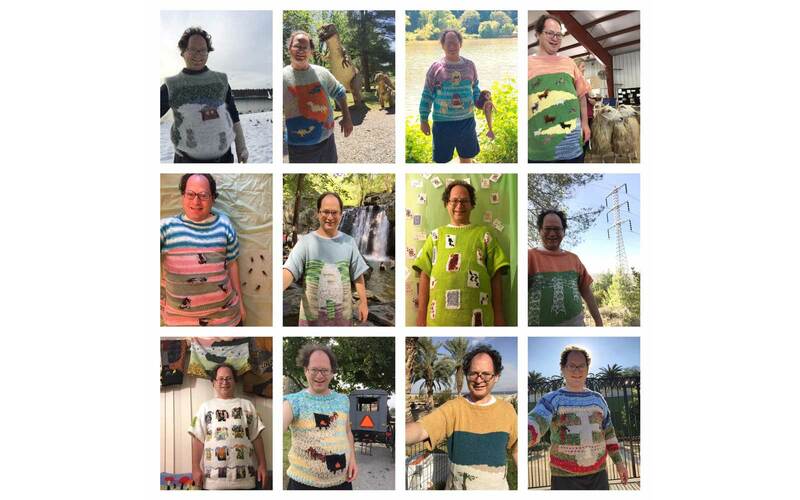 Last year along, Barsky knitted 12 sweaters. But the goal isn't the sell his handiwork. The knitter shared on a Facebook post that it takes him a month to make each one. 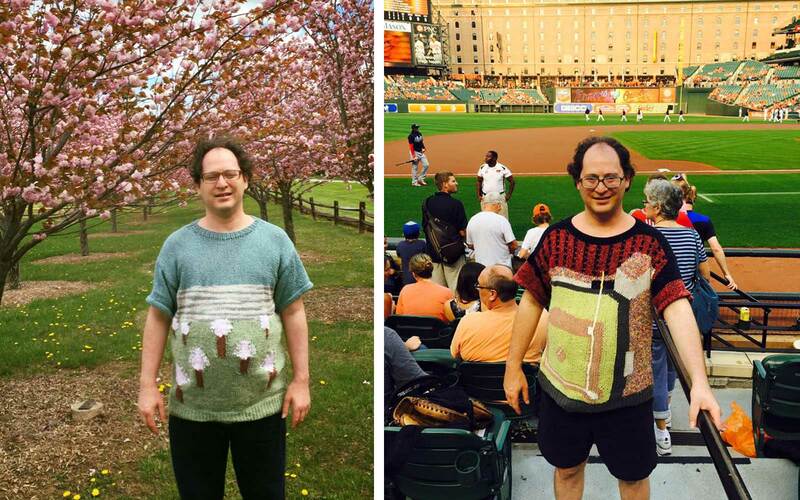 He even has a sweater with 16 of his previous sweater designs knitted onto it. His work has caught the eyes of people around the world, including the Belize Tourism Board. The group has offered Barsky an all-expenses-paid trip to the country in exchange for a Belize-themed sweater (they suggest the popular diving destination Great Blue Hole and the Mayan Lamanai site). You can find more of Barsky's work at ColorKnit on Facebook and Twitter.